Listen to the podcast. Find it on iTunes. Read a full transcript or download a copy. Sponsor: Ariba, an SAP company. Social tools, big data and business networks are reshaping e-commerce in such a way that buyers and sellers are linking up in ways not possible even a few years ago. In one example, Ohio-based LLT Barcode & Label, has found powerful new ways to develop sales and leads inexpensively using Ariba Discovery to better connect with qualified new customers. Gardner: This whole concept of finding customers, developing leads using cloud, using the networked economy and how people are linked up now more-and-more has become a function of the data that people are able to access. Tell me a little bit about how things have changed, say now, versus five years ago in terms of finding sellers for buyers, and buyers for sellers? Spasser: We're talking about major changes that have gone on in the past few years. If you think about the mantra around marketing, it's always been to make yourself, your product, and your company relevant to potential buyers. Ten or 15 years ago, as the Internet was really coming into its own, it provided significantly more data that helped us understand demographically, and a little bit behaviorally, who our customers were and what they were doing. When we talk about the networked economy, business networks, and connected commerce we're really taking that to a whole other level, where as marketers, we're able to hyper-target, our potential customers not just on their demographics, but also be able to predict when they're going to be ready to buy. They overtly raise their hand and say, "Hey, I'm interested in buying by a connected RFI or RFQ process." But we can also analyze the myriad data that's available today and put both unstructured data and structured data together in a way that helps us predict when they are going to be ready to buy. That's when we can actually present them with compelling offers. So it really does change the whole nature of the game. Gardner: Kris Hart, do you really care whether it's the cloud or the networked economy, or whether it's structured or unstructured data? What appeals to you in all this in terms of the change that's going on? Hart: In general, you don't really care one way or another how you get it. the cloud and e-commerce makes everything a lot easier, not just for the seller, but also the buyer. It really helps with the relationship, and being on the cloud is much simpler, faster, and easier. Gardner: Tell us a little bit about LLT Barcode & Label, so that we have a better understanding of your business, the vertical, the challenges that you face in terms of growing your business, and finding new customers. Hart: We started about 16 years ago. It was a small company, and we're still a small company, where it's hard to get out in front of buyers. When we started, we would send out about a half-million catalogs a year. Those catalogs have inside them labels, thermal transfer ribbons, and laser labels, and items like mobile computers and printers to be able to print those items. We started out as a small company, basically a distributor for a company that needs to ship a label via FedEx, UPS, or however. They need a label on that box to be able to ship their product. So as far as vertical markets go, if you name a company, they have to ship something, and they'd be able to use that. So we play in every single market out there. We gross roughly about $12 million a year and we have about 15 people who work for us. We would buy lists from Hoover’s, or somebody like that, and we would send out half a million catalogs a year. We were hoping that everyone who got one of those catalogs would call us and want to buy something. But that's not the case, and over the past 15 years, that return on investment (ROI) has gone down significantly. So we had to find new ways to grow our business. The Internet has really helped. A lot of people at home are using sites like Amazon.com and eBay and they're getting used to just looking on the Internet when they need to buy something. When they go into work, because it's so easy at home, they want to be able to do the same thing. It's a win-win for both sides. We don't have to print lots of catalogs every year, and they can just find us on our website or search engine via Google, Bing, whatever. Gardner: Why wasn't it just creating a website and being part of the massive index that Google and other search engines use? Why was it better moving to an e-commerce cloud, a networked economy approach like Ariba Discovery? Hart: The biggest thing with Ariba Discovery is that it's very much like match.com. We wanted to be in front of buyers when they were ready to place an order. We wanted to be that company that that person on the other end is going to come search for, see us, and give us an opportunity for their business. If I walk in in the morning, I already have leads there. I already have an opportunity with a buyer who knows what they're looking for. They're out there on Ariba Discovery, asking me, "Can you help me?" That's a lot easier than like the catalog theory, hoping that someone runs across your website. You know automatically what that buyer is looking for and where that buyer is. You know automatically what that buyer is looking for and where that buyer is, and hopefully within a couple of sentences, a couple of conversations with them, you can figure out when they need to buy. Spasser: If you listen to what Kris said, the Internet has enabled business to be done faster and for him to find new customers faster and more efficiently. But where the business networks really differentiate themselves from the Internet as a whole is that there is a common platform, where both buyers and sellers are going to connect and find very specific commodities or services that meet their specifications. Creating a platform that enables them to get to that level of granularity enables them not just to conduct commerce faster, but conduct commerce smarter. As we look at the value of the business networks, over the course of time, these networks are, in essence, aggregating more and more data and insights that ultimately help companies like LLT Bar Code in that mid-market that want to do business globally. At the same time, it helps global buyers that want to buy, for various reasons, from companies that are either local suppliers, from companies that might have green initiatives, women-owned business, or diverse-owned business. So there are a lot of different criteria that go into determining who you want to buy from or sell to. The beauty of the business network is that it gives you the ability to both get insight and get a lot of information on the buyer or the seller, and to connect based on very, very specific criteria. Gardner: Kris, one of the things that’s interesting in comparing a web-based open-Internet approach to something more standardized is speaking the same language, data, metadata, taxonomy. It might be one thing for you to put up information on your website, but somebody who's searching, or even the search engine algorithms, might not understand the importance of certain terms and lingo. How has a commonly understood business-oriented environment helped with your results? Hart: Well, with Ariba Discovery it’s great. They have postings for all sorts of commodities and items that a buyer may be looking for. A buyer can check them off on his screen and then send out an RFQ. With Ariba Discovery it’s great. They have postings for all sorts of commodities and items that a buyer may be looking for. The nice thing about having that similar platform is that I set up a profile. I select specific commodities of the types of business and the items that we operate in. With that, a lead is automatically given to me. The buyers are looking for specific things, and it may be in his own terms or maybe a little bit different than how he may search it on the Internet and possibly miss us. I can take my list of commodities and then it will be automatically generated. It’s going to come pretty close. He is going to be right there for me to be able to respond to whether or not we can help them, yes or no. We started looking at Ariba Discovery in late 2011. We were trying to find some other way to gain new customers and to grow the business. 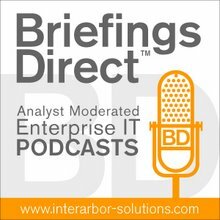 We decided on Ariba Discovery in January of 2012. There were a couple of RFPs out there, and I thought, "Why not give it a shot?" So we respond to a couple, and the first RFQ that I had responded to was for some blank labels and a couple of colored labels. A couple of weeks later I get an email from the client that had posted the RFQ, and they want us to bid on their entire distribution, labels, ribbons, and shipping items. And after going through their process of RFQs, add-in items, pricing, and everything else, we won about a $400,000 deal via Ariba Discovery. That was for a two-year contract, and that was the first one. It was almost too good to be true. The great thing about it was that we started in the middle of January, when I responded to the RFQ and we had the contract and everything signed and they were buying from us in April. Very quick process. Gardner: What was your cost in acquiring this customer? Hart: With Ariba Discovery, you can use Ariba Discovery for free or you can use the Mid-Level or the Advantage. And we decided to go with the Advantage. That had some other benefits with the profile and things of that nature and it was only $3,000. We decided to take some of our marketing budget and put it into that and at least give it a shot. We were more than happy. We got our ROI right-away, and it's a much better and simpler process than sending out a half a million catalogs a year. You’re not wasting your time. You’re not sifting through a lot of unqualified opportunities as the seller. Spasser: We love to hear stories like Kris’ about immediate ROI. And we hear them over-and-over again from suppliers on the network. One benefit, as we talked about, is the ability to define very specific criteria as a seller as to what you sell, so that when you do get posts that are directed to you, you know that they're relevant to you. You’re not wasting your time. You’re not sifting through a lot of unqualified opportunities as the seller. And the benefit to the buyer is the same. As the buyer posts, their posts are being sent to people who are all qualified, who all have the ability to meet the specifications that they have created. Therefore, it's saving a lot of time on their part as well. When you look at the two-sided model, it really is a win-win both for the buyer and the seller within the network. One of the hidden pieces of gold within the network is the data that's created over time from all of this transactional information, as well as data that is created individually from buyers and seller. They're providing information on ratings and reviews of how quickly they got paid, if they're a seller, by a particular buyer. Or it's the reverse, how accurate and on time deliveries are if you’re a buyer looking at a seller. So, the unstructured information, combined with a lot of structured data, is creating an opportunity to make much better matches and have buyers and sellers that are much more informed about one another as they enter into business relationship. We all know the more that we understand and have well-defined expectations of our business partners, the more effective those relationships are over the course of time. Gardner: Have you been able to find that the services around process for procurement, automating the invoicing and PO process, the data, even the transactions make that a more efficient customer relationship? Hart: Yeah, it's funny that you bring that up. Right now, that particular customer has gone to Ariba for some other items that they are going to start using for procurement and different items like that. What we're hoping is that once that process takes over, then we can be in the supplier network and possibly even set up e-catalogs for them and make their process a whole lot more efficient and easier. That way, if they have any transition in buyers, someone is on vacation, or anything like that, there are no questions about the items that they purchased from us. There are no questions on the pricing, on who to send the purchase orders to, or anything like that. It's all handled by Ariba. You can now start connecting with multiple buyers via the network, which enables you to create even greater efficiencies. Hopefully, we'll be able to set up a catalog, and they'll be able to smoothly purchase from us. It already helps us being on the supplier network and then them hopefully getting ramped up and making everything a whole lot more smooth. Spasser: It's great to hear about the benefits as it relates to efficiency from a process perspective on the network. One of the other benefits of setting up a catalog to do business with that one buyer on the network is that now you have the catalog set up on the network. As you get additional buyers, you're using the same catalog and the same infrastructure. You can now start connecting with multiple buyers via the network, which enables you to create even greater efficiencies as a mid-market seller who may have limited resources within the company to issue and reconcile invoices. The efficiency of setting up one relationship is the starting point. There is much more efficiency as you start to establish more-and-more relationships as a seller over the network. But there are other services that we offer over the network that also create value, and one example is our Dynamic Discounting Program. For example, as a seller on the network if you would like to get paid faster from one of your buyers, you can offer different payment terms. Let's say your contract is a net-60 payment term, and you’d like to get paid faster because you’d like to make some capital investments in your company. You could offer to provide a discount for a net-10 payment. We have many mid-market suppliers who have offered those discount terms to their buyers, so that they can self-fund growth for their own companies. That's yet another benefit of doing business on the network. The third major benefit is the visibility and predictability that you have in relationship with the customer. At any point in time, as a seller on the network, you can go in and see the status of where your order stands, where your payment stands, or whether your invoice has been approved for payment. It gives you a lot more visibility, and therefore predictability, as a mid-size business, into things like cash flow. You can anticipate when you're going to get paid, instead of having to pick up the phone 16 times and say, "When is the check is going to come? Have you approved the invoice?" So there's efficiency, visibility, and predictability, and then there is the opportunity to impact cash flow by using some of the more sophisticated tools like Dynamic Discounting to speed up payment. Gardner: Tell me a little bit about the future roadmap that Ariba is embarking on around a wider, deeper, richer basket of goods and services. Spasser: One of the things that we are doing, really focused on the lead generation side, is expanding the services that we offer around Ariba Discovery that can help companies like LLT Barcode & Label find new customers worldwide. Related to that is the ability to create multiple profiles that are very highly targeted. So for the various products that LLT Barcode & Label offers, they could create a profile unique to different industries. Or if there are different industry requirements around labels and barcodes, they can create very specific, targeted profiles that really make them extremely relevant to buyers within various industries. Another service that we are offering is what we are calling "Sellers You Might Like," and that's the ability to based on what someone is searching on proactively suggest sellers that meet their criteria. So even if a buyer does a search and doesn't necessarily click on a particular supplier, if that supplier meets those criteria from an algorithm perspective, that suppler will be proactively suggested, especially if that supplier has received high ratings and reviews from other buyers on the network. So there are couple of new services that are being offered from the Discovery side that will really accelerate the ability for mid-market companies like LLT Barcode & Label to grow their business and expand the value that they get from using the Ariba network. Gardner: Any 20-20 hindsight, based on your experiences so far, that you could offer to other people who are looking to get started on this cloud-based, commerce and lead generation activity? Hart: Definitely give it a shot. Set up a free profile and start getting some leads generated, something that comes your way. Definitely make sure you're in the right commodities. Don't start clicking boxes for commodities that you can't offer. That way, your leads are more precise and more ready to go Then see what happens for free. Definitely give it a shot. Set up a free profile and start getting some leads generated. If you want extra help and a little bit better outreach with the marketing profile, go up the next step or even all the way to the top like we did. We saw the benefits and doing that with the marketing help that we have from Ariba and how to use the Discovery tool. As I said, that paid off for us, but definitely give it a shot. If nothing else, just set up a free profile and see where that takes you.